Often it’s the eye-popping renovations & additions that get the limelight, but all the behind-the-scenes work and details are equally as important as the finished project. That’s why we’re thrilled that Project Coordinator Paulette MacGregor, as well as all the effort we put into our signage, have been recognized as award winning, giving us a double win at this year’s sales and marketing awards! 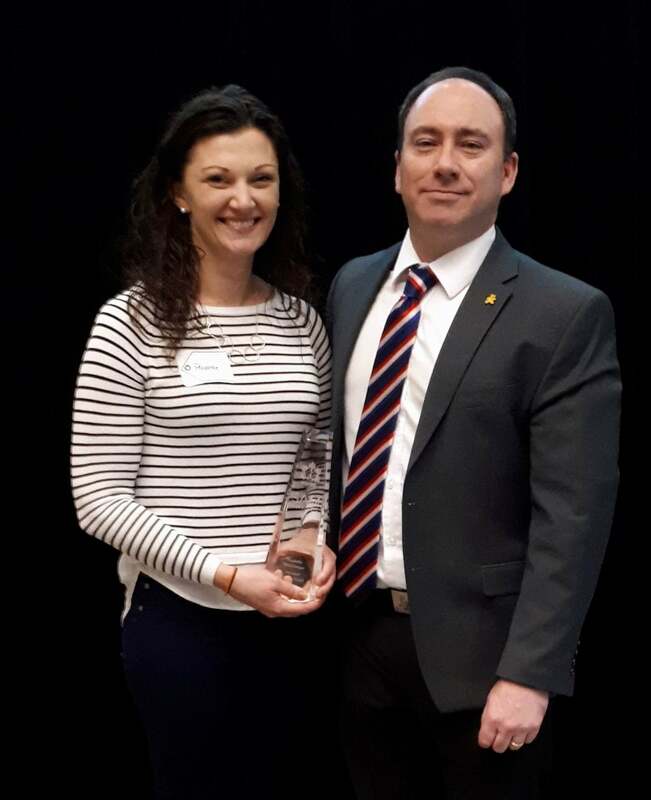 Known as the SAMs and organized by the Greater Ottawa Home Builders’ Association, Paulette was chosen Best Renovator Sales Representative and our branding efforts were awarded Best Renovator Signage at an awards luncheon held last week. We are so proud of Paulette and her dedication to our clients. A member of our team for the past three years, her role is to work with clients from start to finish, providing the continuity that offers reassurance to a homeowner. Paulette will work with a potential client to fully determine their dreams and goals, drawing on her design background to help with the process where and when needed. For clients, this step is often enough for them to feel confident in proceeding with us as their renovation company. Paulette then stays with the client, working with them through the design stage, offering support in selections and working with their tastes and budgets for a comfortable process and spectacular finished result. Once in construction, Paulette maintains an active role. Meeting with the homeowners and their assigned Project Manager weekly, Paulette acts as the homeowners’ voice. Understanding how they arrived at certain decisions helps ensure a smooth project and a seamless transition between two very different industries — design and construction. “I think communication, a genuine passion for her work and commitment to client service made the difference,” says a happy client. As a testament to her expertise and dedication, six of Paulette’s projects were 2018 Housing Design Awards finalists. Paulette was the Project Coordinator behind our double award-winning condo renovation at the awards gala this fall. In that project, what had been an industrial-styled condo was transformed into a serene and more feminine retreat. Paulette also spent more than a year working on the planning of a whole-home renovation, helping the homeowners fine-tune all the details, before construction began on the project. The home, a double awards finalist, was our entry on this year’s RenoTour, receiving rave reviews. When it comes to our signage, really, it’s our calling card, which means it’s vitally important to us as a brand. The decision to renovate is arrived at only through careful consideration and extensive planning. The entire process may stretch over several years, and therefore it can be difficult for a company to maintain relevance and top-of-mind priority throughout. All of our signage was re-designed to reflect the characteristics of a solid, long-standing company that produces quality work and completes longer-term projects, while their size and consistent use enhance visibility and maintain brand awareness. 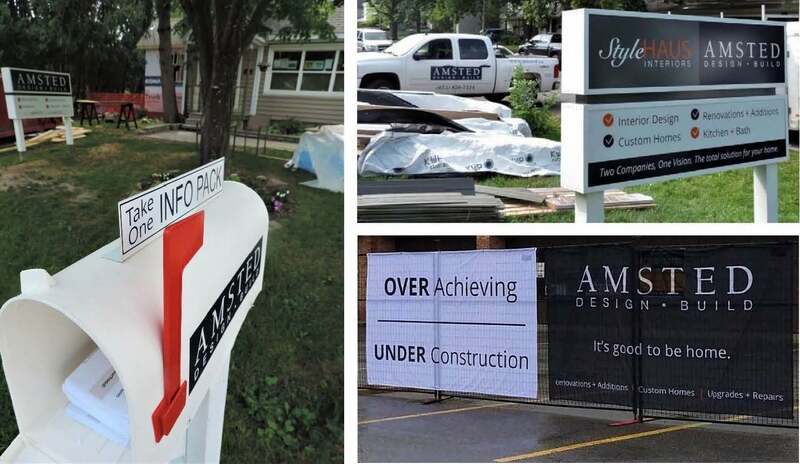 That visibility can be found in job site signs, fence wrap, vehicle branding, mailboxes at job sites with information sheets and more, all with the aim to set us apart from and above the crowd! We’re thrilled with these two wins at the SAM awards and offer our congratulations to all the other winners!